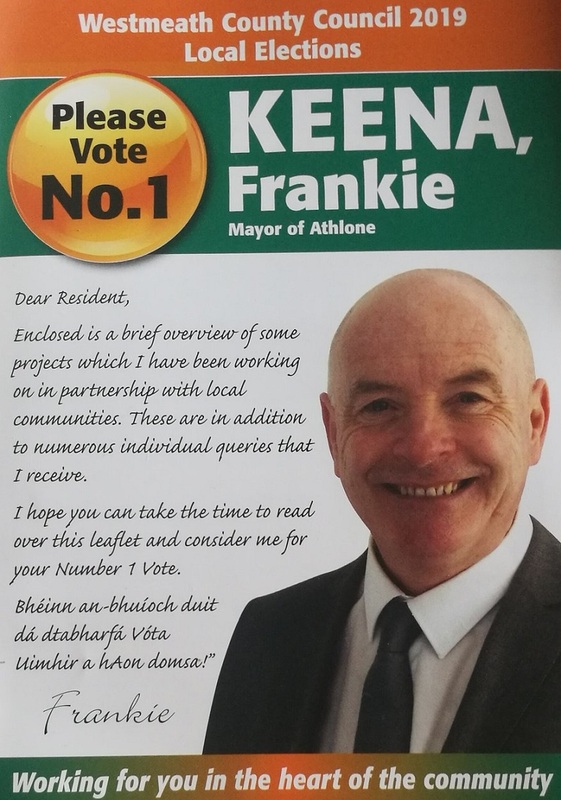 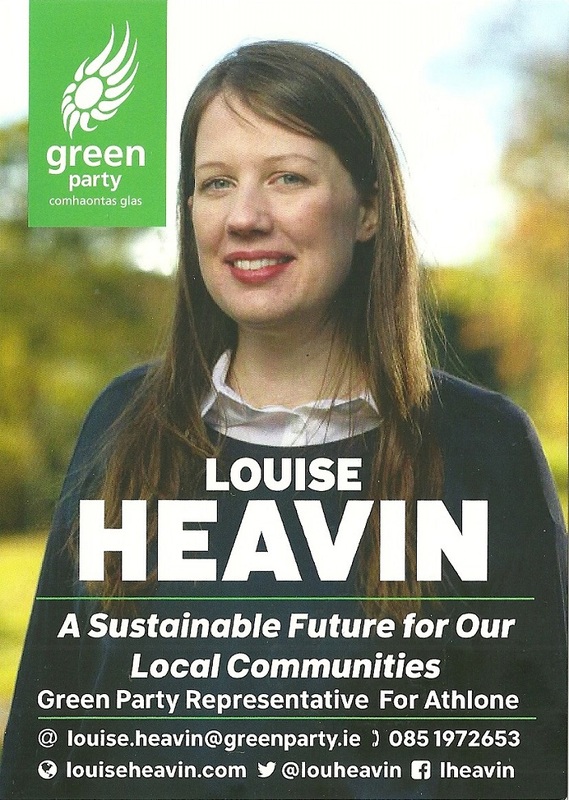 A Leaflet from Frankie Keena of Fianna Fáil who is running in Athlone for a seat on Westmeath County Council. 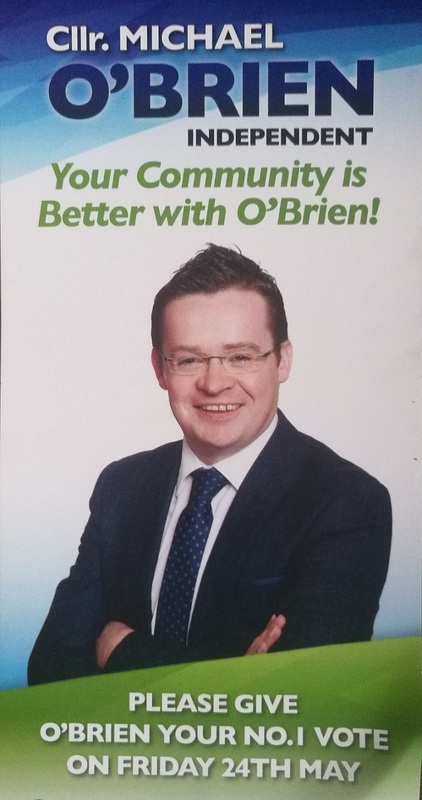 A Leaflet from Michael O’Brien who is running as an Independent (Working With Kevin ‘Boxer’ Moran- Minister of State) in Athlone to retain his seat on Westmeath County Council. 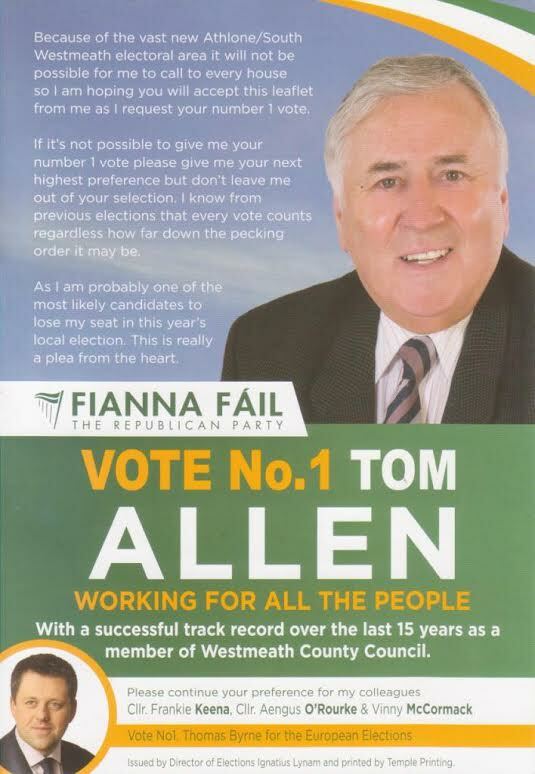 A flyer and letter to voters from Tom Allen , better known to many as Country and Western star TR Dallas, who is running in the Athlone (Westmeath) LEA to retain his seat on Westmeath County Council. 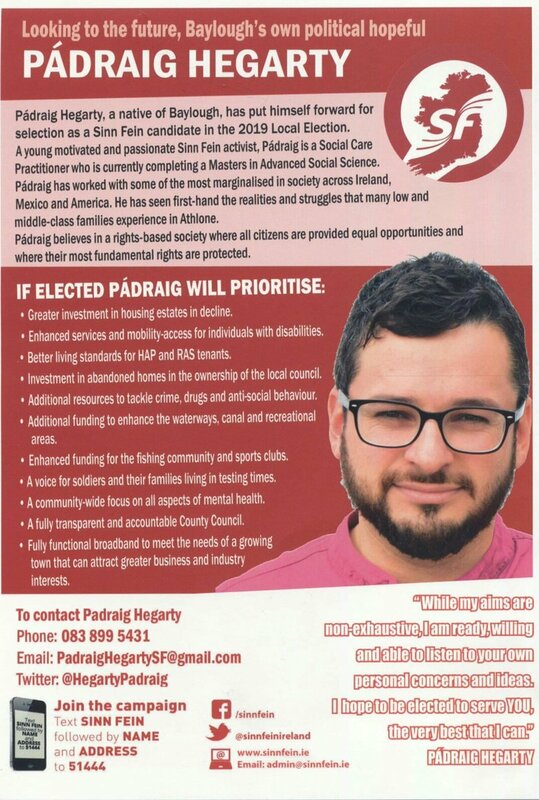 The finals lines of the flyer that I’m “one of the most likely candidates to lose my seat” and “a plea from the heart” have the makings of a Country song! 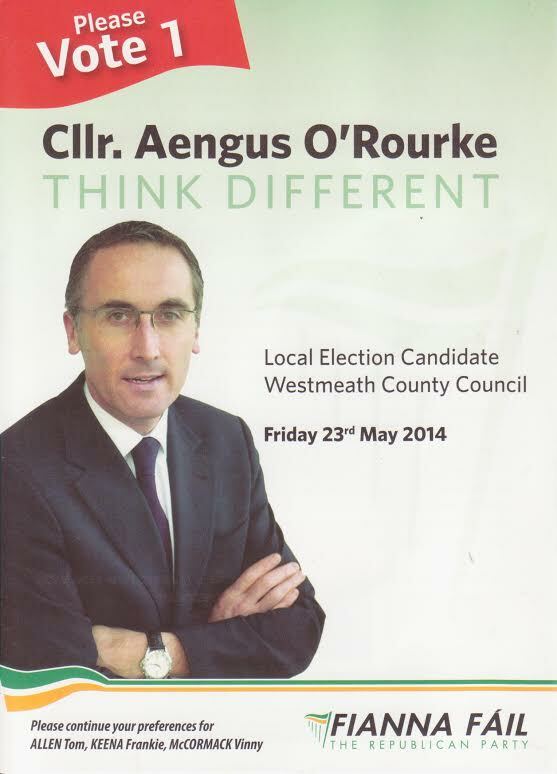 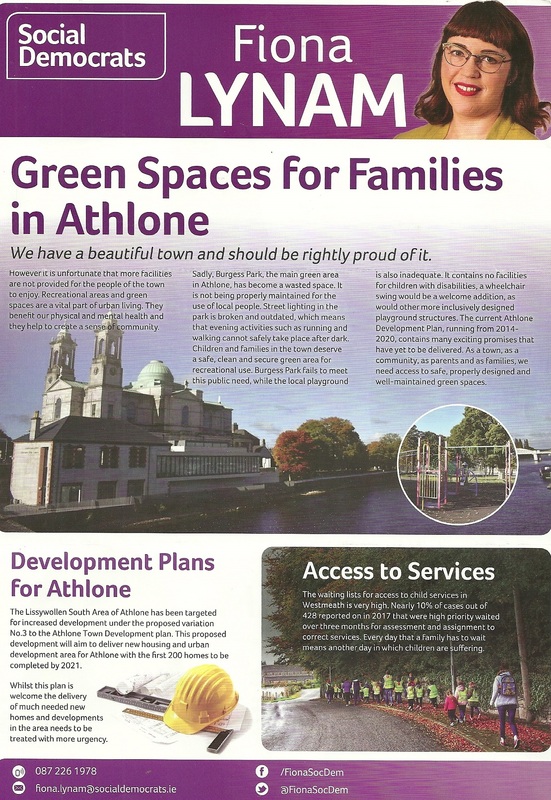 A flyer from Aengus O’Rourke who is running for Fianna Fail in Athlone, for a seat on Westmeath County Council.